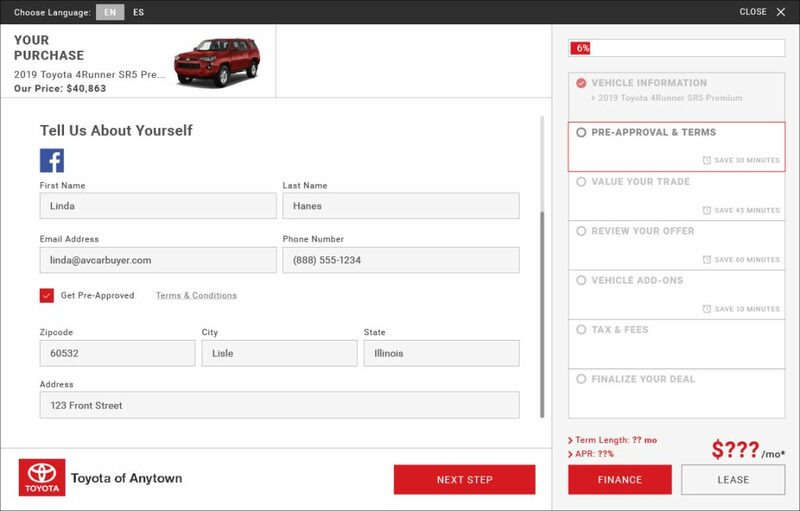 Dealer eProcess is excited to announce its newest effort to help customers and dealers truly enjoy the car-buying process. With our revolutionary Digital Retailing system, customers can complete nearly all of the finance and incentive process online. Some may feel that Digital Retailing equals the ability to complete 100% of the purchasing process online, but we feel that when making a major investment, consumers still want to complete the transaction in person. The key to our Digital Retailing is being able to provide real bank and loan information for the customer in a clear and concise way. 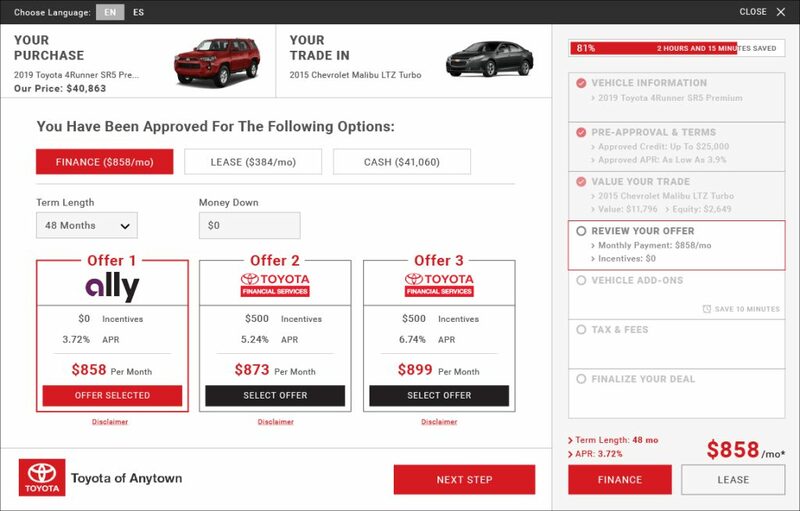 Using eCredit App and eAuto Appraise, someone interested in financing, leasing, and even trading-in a vehicle can get a complete breakdown of what’s currently available for them. Whereas other providers only give a customer the “best” offer, which essentially forces them to choose one path, our unique system is optimized to show the top three lowest payment options. Our research has shown that customers still want to be presented with choices. Thanks to the ability to fill out nearly everything online, they’ll be able to see these options and consider them from the comfort of their own home. Additionally, they can compare several choices without the pressure that often comes with sitting face-to-face with a sales rep at the dealership. Our tool helps the customer feel confident in their decision. Another core part of our Digital Retailing is the incorporation of our One-Touch forms. Since a customer’s contact info is saved and transferred across the site after the first time they enter it, they’ll be able to work their way through each form with ease. They can even complete the process in the order that works best for them, whether that means starting with a trade-in value and then financing for the model they want to purchase, or vice versa. The eCredit App, our soft-pull credit application, provides the incentives and bank offers that they actually qualify for, as well as the actual equity for a trade-in. Our system also includes taxes based on the customer’s zip code. These figures come together to create a complete offer – all they need to do then is print it out and head over to the dealership! 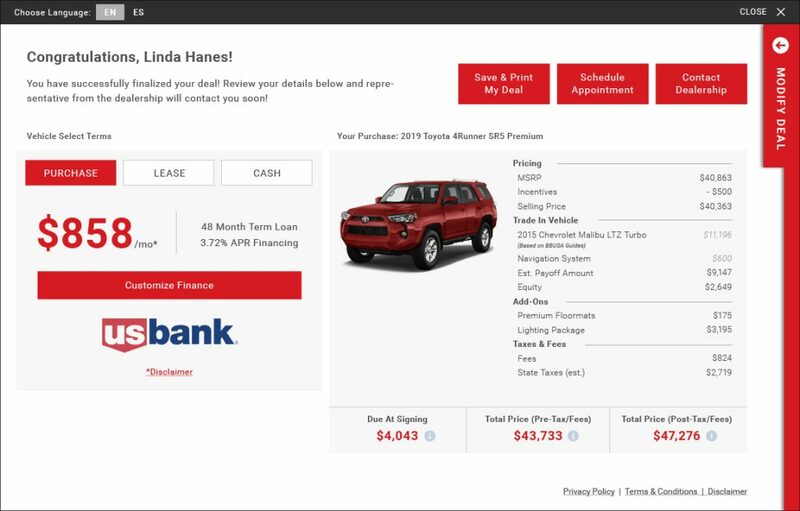 Although it can be difficult to get an accurate offer with so many variables involved in the cost of a vehicle, our Digital Retailing tool allows the customer to have a more concrete idea before they head out to the dealership. The benefits of our new Digital Retailing tool are numerous. Customers will love that they don’t have to spend their valuable time sitting in the dealership just to fill out paperwork. At the same time, they’ll still be able to get the personalized attention they want to close the sale. This includes getting the answers to any questions, taking a final test drive, and signing the official documents. 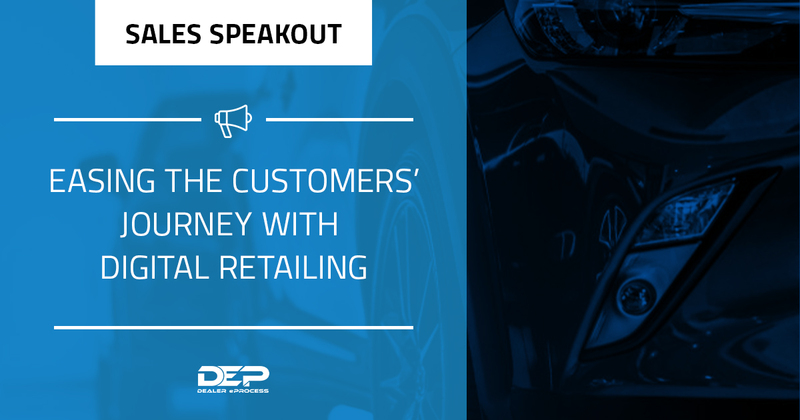 Buying a vehicle is a big investment and we’ve found that the majority of customers still want an element of human interaction included in the process. Digital retailing and the in-store process should complement each for maximum impact, ensuring the customer gets a frictionless experience each step of the way. Joel Matteson is the Director of Sales of the Western Region at Dealer eProcess. He’s been a student of the industry with 17 years of experience in the Automotive space. Joel enjoys anything oudoors and loves that his wife has put up with him for over 16 years without cutting his brake lines. If you’d like to learn more about digital retailing and our award-winning dealer services, fill out the form below and a representative will be in touch.